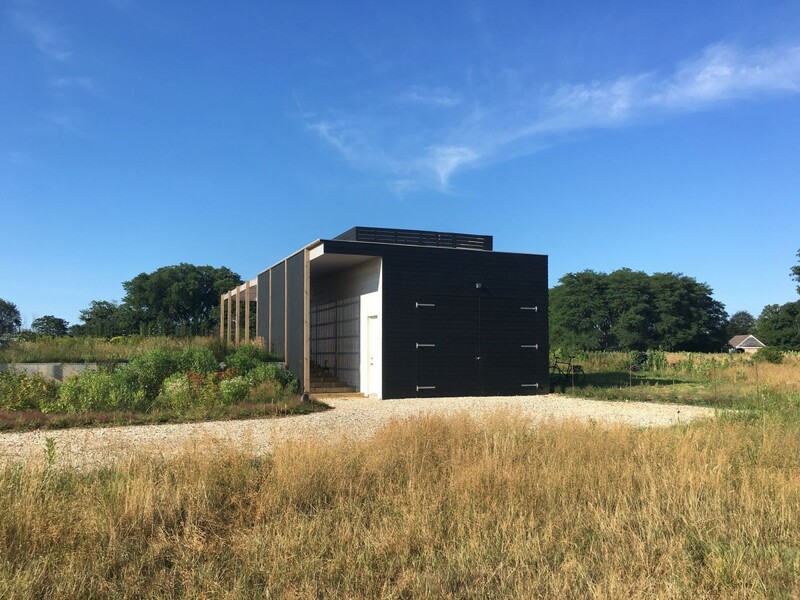 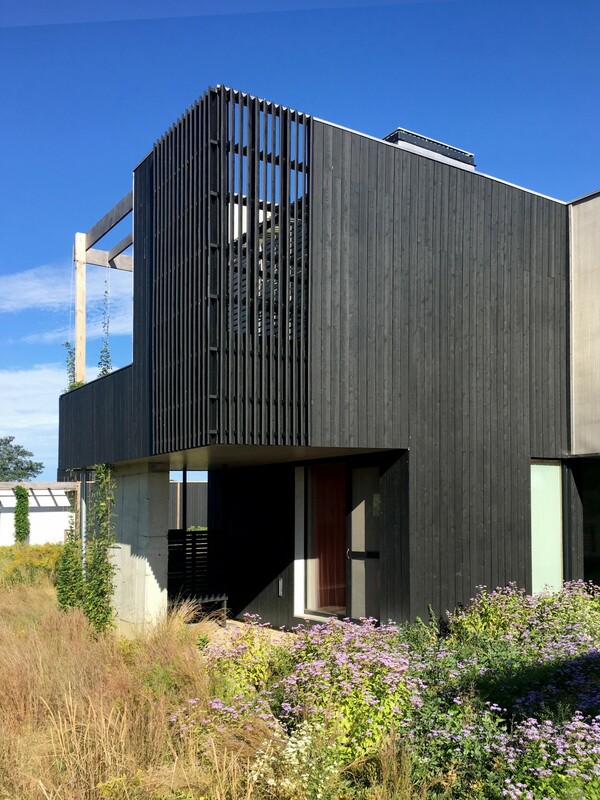 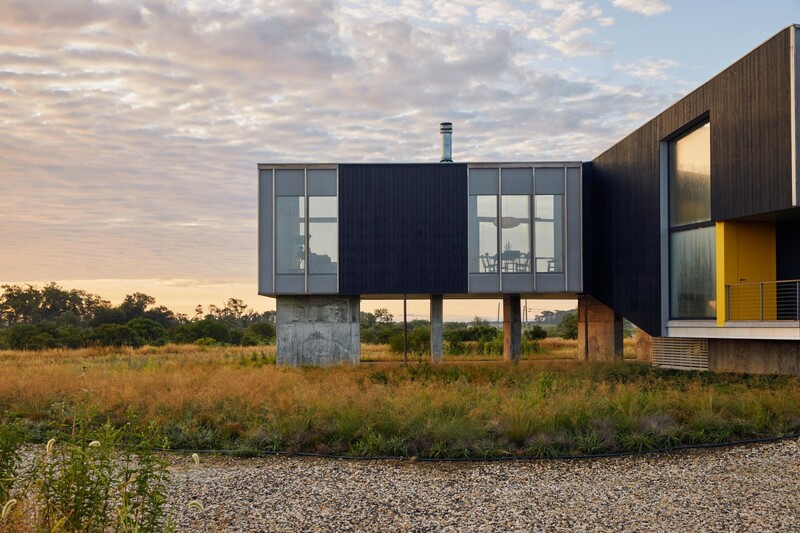 The owners purchased 15 acres of tidal wetlands and former potato fields with the intention of building a house that would respond to and directly connect to its surrounding landscape. 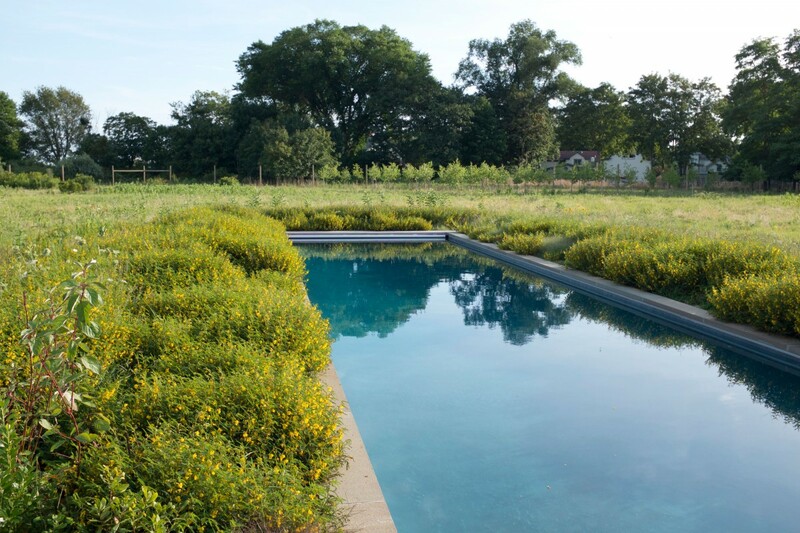 Even though most of the land was untouched by construction, the entire property was restored to a natural state by removing non-native invasives and adding indigenous plants. 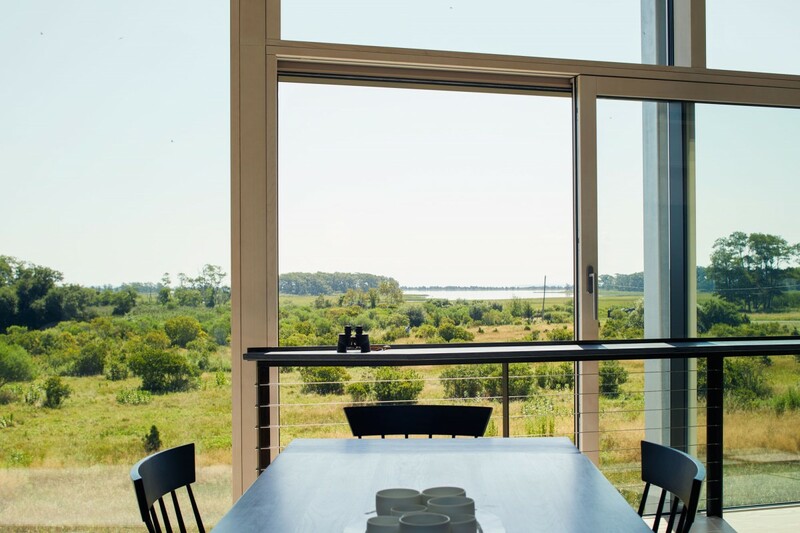 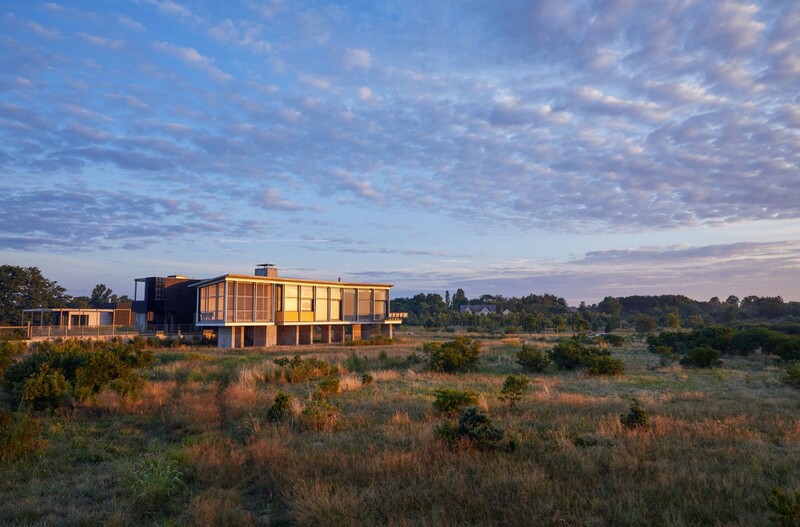 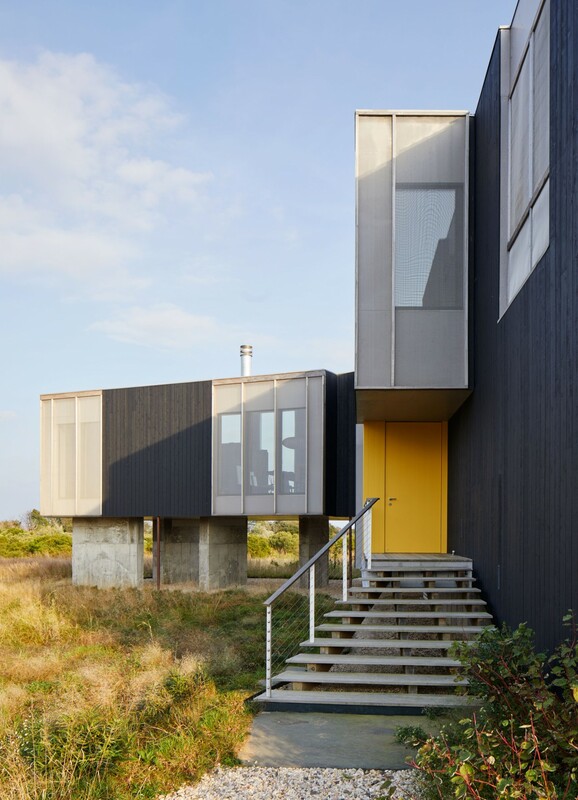 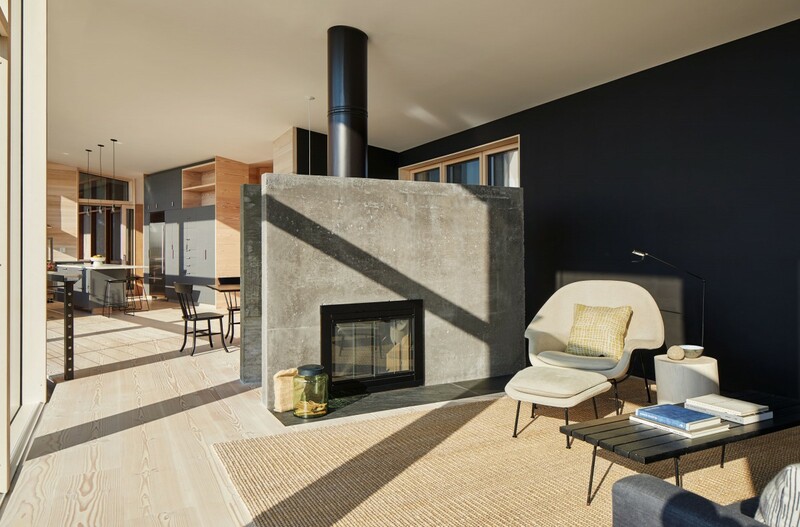 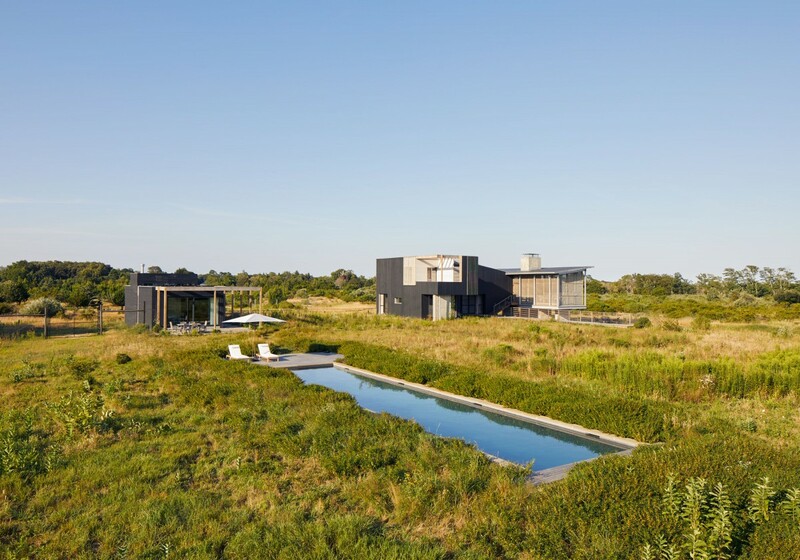 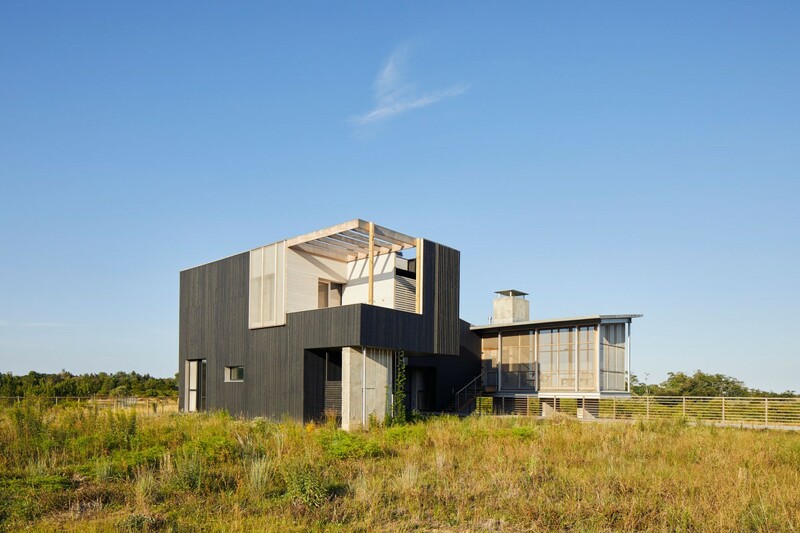 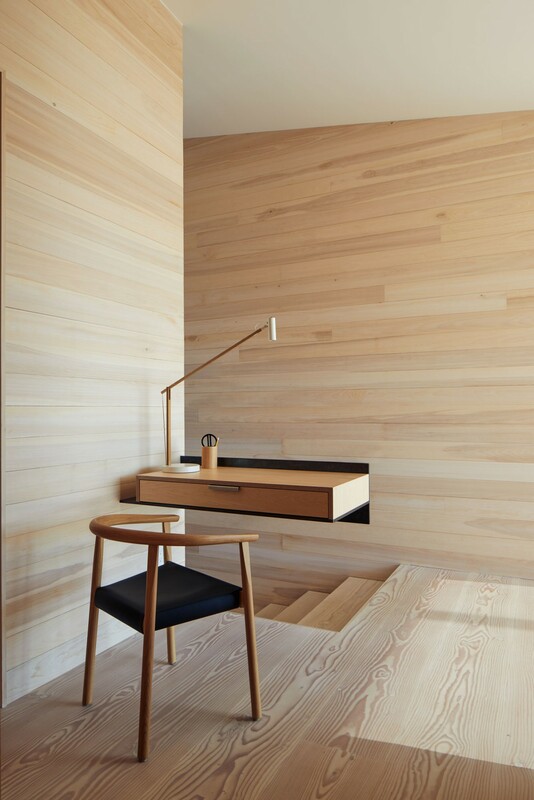 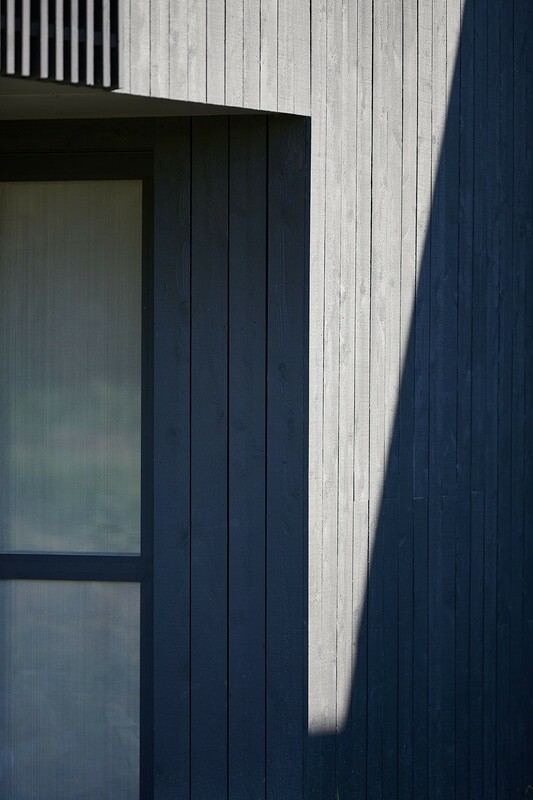 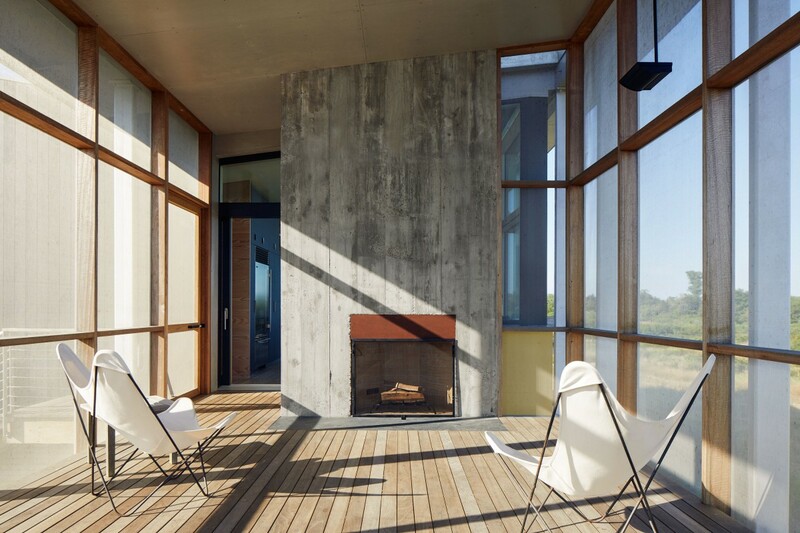 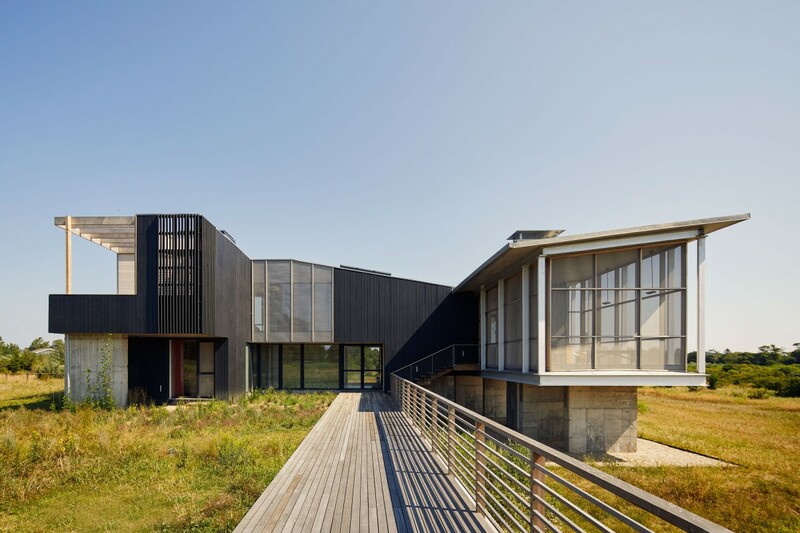 Because of the ever-increasing severity of storm surges, the owners agreed to raise the main living floor ten feet above the natural grade which consequently allows for wide, unobstructed views over the protected wetlands of Peconic Bay. 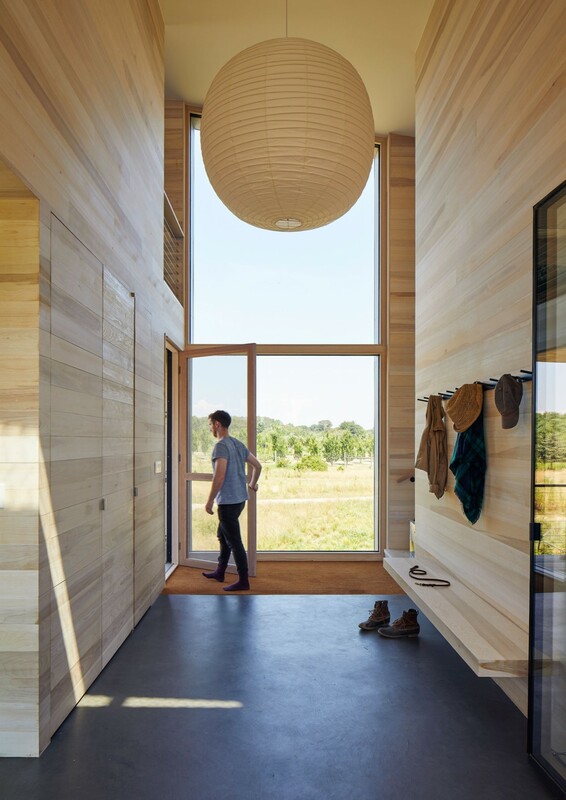 The guest rooms, half a flight below, open out to the meadow which has been gently raised to protect these rooms from floodwaters. 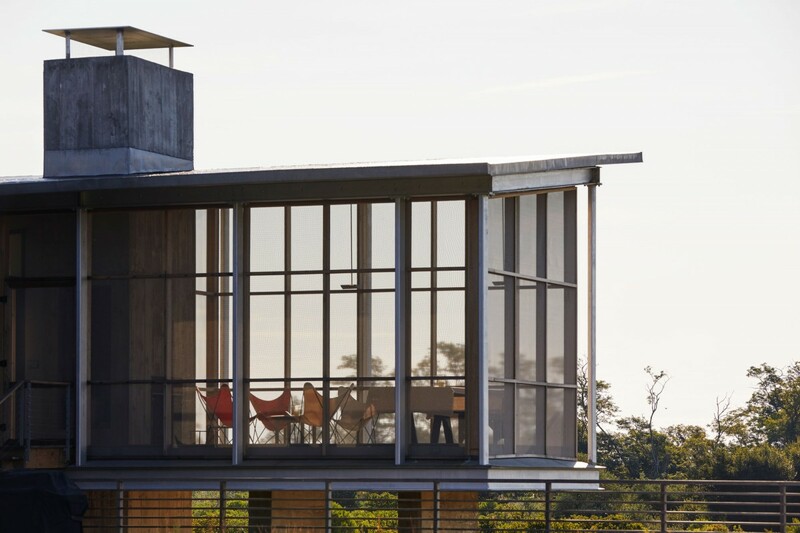 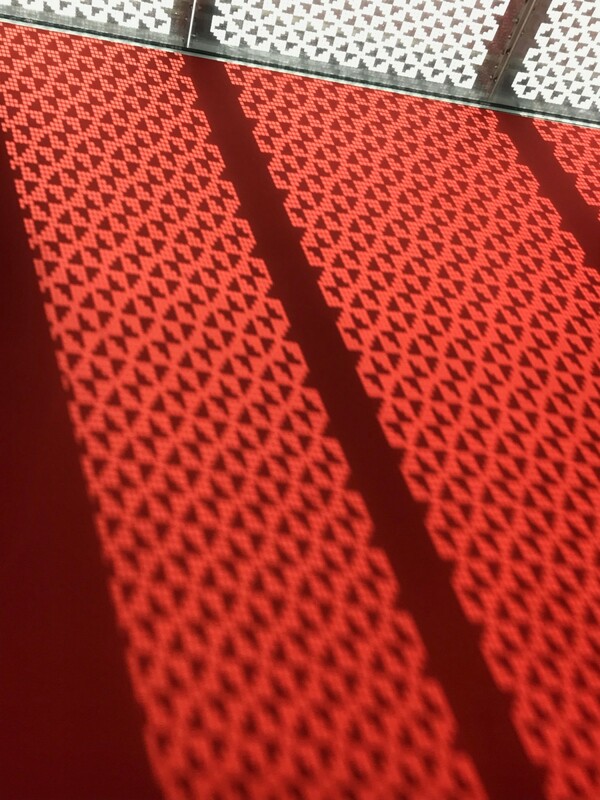 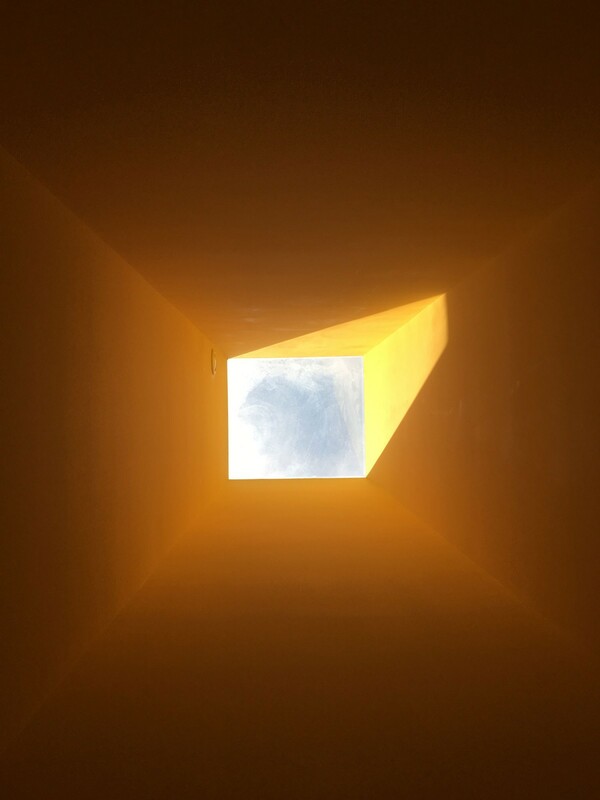 The design incorporated European low-energy design details and materials which allow all building systems to be electrically powered and offset by a solar panel array.